Where those associated with Western films from around the world are laid to rest. 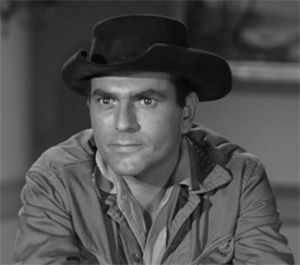 Character actor Don Gordon, who appeared alongside his friend Steve McQueen in “Bullitt,” “Papillon,” and “The Towering Inferno,” died April 24 in Los Angeles, according to his wife. Gordon, who often played tough cops and gangsters, was Emmy-nominated for “The Defenders” in 1962. 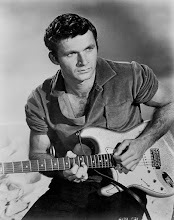 His first major television role came in “The Blue Angels,” which ran in 1960-61. Gordon wrote the screenplay for “The Lollipop Cover,” in which he also starred. He is survived by his wife Denise and a daughter, Gabrielle. Born: 11/13/1926, Los Angeles, California, U.S.A.
Died: 4/24/2017, Los Angeles, California, U.S.A.
RIP Don. You will be missed. Was a good actor. Papillon notable. Missed by America. One of the great cadre of the gifted Italian-American actors post World War 2. His path to Great rolls was on television and was a very unique actor. A very fine actor. ALWAYS FELT DON GORDON WAS A VERY ADEQUATE PERFORMER IN EVERYTHING HE EVER UNDERTOOK AND OVER TIME WAS IN SOME TOP FILMS AND TV PROGRAMS - LOOK FOR DON, BRIEFLY, IN HIS FIRST TWO FILM ROLES IN " TWELVE O'CLOCK HIGH " (1949) AND " HALLS OF MONTEZUMA " (1951) - HE POPPED UP IN MANY POPULAR TELEVISION PROGRAMS THROUGHOUT HIS LONG CAREER, WHICH SPANNED FROM 1949 - 1993, AND ACCUMULATED OVER 150 CREDITS. REMEMBRANCE.